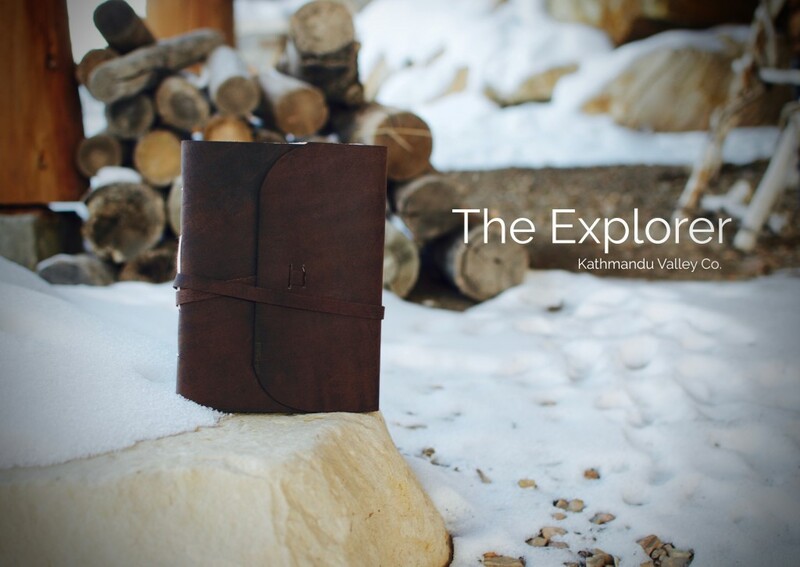 Everest Explorer Journal. Made in Nepal. It’s not called facing the cold; it’s called braving the cold. Explore your world, whether in the Rocky Mountains or High Himalayas. Rewards come when you step out of your comfort zone, and enjoy an experience that the rest of the world will have no idea exists, and capture the memory on handmade paper. Rustic adventures need something rustic to record it. The Everest Explorer Journal is perfect for capturing an experience to remember for a lifetime on paper that is just as special.